This report presents the findings of the population characteristics of 2017 CNMI Labor Force Survey (LFS). Even though this survey was called the 2017 CNMI Labor Force Survey, the questionnaire included both housing and population questions, see Appendix B for a copy of the survey questionnaire. The questionnaire included 37 main questions on population with sub-items under some of them. In this report, the finding on most of these characteristics (variables) is presented for the whole CNMI (CNMI total), by island, and by district. Organizationally, each characteristic is titled and identified by a number to promote independence and ease of referencing. The population characteristics and corresponding identifications are indexed in the table below. Note that related items are indicated by decimals; for example, water heater energy source, numbered 9.2 is related to hot and cold water numbered 9.1. The findings on each characteristic is presented in a text summary, a table, and charts. Each table shows the estimated proportion or percentage, both column percent and row percent. The proportions (or percentage) are also shown in 100% Stacked Column chart to facilitate comparisons. The discussion of the findings focuses on the percentages–and on medians and means when appropriate. While the general population estimates are not included in the text discussions, and not shown in charts, they are contained in the tables. While findings are separate and specific to each of the characteristics, one important underlying fact is evident across all characteristics: there is a strong correlation between Saipan estimated statistics and those of the CNMI total (CNMI as whole). This is because Saipan’s population comprised 90% of the CNMI’s total population, hence, Saipan’s share greatly influences the estimate statistics for the CNMI total. In the discussion of each population characteristic findings, this underlying fact is not repeated, but it is evident in the row percent in each table. 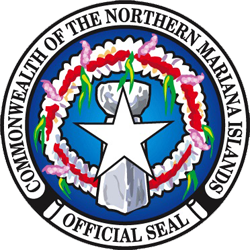 The 2017 Commonwealth of the Northern Mariana Islands Labor Force Survey (CNMI LFS) is the latest of several that have been conducted in the CNMI since the 1990s under the CNMI Department of Commerce, Central Statistics Division (CSD). The main purpose of the survey was to collect adequate data to profile labor force participation measures in the Commonwealth. However, the survey went beyond just collecting data on labor force and included other population and housing characteristics. Please see attached questionnaire for details on items included in this survey. The target population of the 2017 LFS included the entire CNMI population and housing units. Specifically, it included all persons and occupied housing units on the islands of Saipan, Tinian and Rota, but did not cover the Northern Islands. The data collection for the 2017 LFS was conducted in the Fourth Quarter, 2017; it started on September 20, 2017 and ended on December 21, 2017. Data coding began the same week the field work began. Data entry began the second week of October and continued until the last week of December 2017. Data reconciliation and cleaning took place in December 2017 through January 2018. The 2017 LFS sampling design was like in prior surveys: a stratified random sampling with proportion to size and with minimum. The sample frame was the Housing Units Listing maintained by Commerce CSD last updated in 2014. Island was the first stratum and Village Group was the second stratum. A minimum of 30 was applied. The goal of the Survey was to produce reliable statistical estimates on the selected characteristics of housing and population in the CNMI. A total of 1,278 housing units were randomly selected: 878 from Saipan, 200 from Tinian, and 200 from Rota. In addition, 938 additional housing units (724 from Saipan, 100 from Tinian, and 114 from Rota) were randomly selected and used as substitutes for situations where a housing unit was no longer occupied, demolished, converted into a business establishment, a householder refused to complete the survey, or for other reasons. Substitution was done to ensure that enough household data from each of the three islands was collected to adequately profile the population and housing units for the three islands. The 2017 LFS questionnaire contained thirty-two (32) main housing questions with related sub-questions and thirty-five (35) main person questions with related sub-questions. The questionnaire is attached as Appendix B. Items in the questionnaires were taken from prior surveys and censuses instruments and adapted to meet the needs of this survey. The 2017 LFS was conducted out of the Central Statistics Division. CSD hired survey takers and clerks as temporary government worker based within CSD. Under the law, PL 7-35, enacted in 1990, CSD is the CNMI Government Office that is empowered with authority to conduct surveys in the CNMI. The CSD has been conducting similar surveys in the CNMI since the 1990s. The Central Statistics Division hired 30 temporary employees for the Survey: 27 field survey takers and three office clerks. In addition, CSD in-house staff also worked directly on the on the survey. All field survey field workers and office clerks went through a 9-hour survey training session, spread over a three-day period. The first day focused on properly completing the survey questionnaire. The second day reviewed completing the questionnaire and focused on field work—how to use the CNMI Housing Register and Housing Maps to locate the preselected households in the sample, logistical, and other administrative work involved in the Survey. The third day was a field trial run where each of the enumerators went out to the field, located the houses in his/her assignment area, completed one questionnaire, returned to the Office, and had his/her work verified by the supervisor and the clerks. The three office clerks attended the same training with the field surveyors and were also trained in reviewing forms, coding, and data entry. Training was done separately for Saipan, Tinian and Rota. The primary mode of collecting the data from each of the selected households in the LFS was through a personal visit and interview of the members of the selected households. As stated earlier, survey takers were hired and trained to locate each of the randomly selected housing units in the sample, conduct a personal interview, and complete an LFS questionnaire. In cases where follow-ups were necessary, telephone was also used to complete the questionnaires to minimize the cost and speed-up the follow-up process of completing forms. In all cases the first contact with each household was a personal visit; most questionnaires were completed this way, but telephone follow-up was also commonly used to complete or verify pieces of information. Telephone follow-ups were done by both field survey takers and in-house office clerks, depending on the situation. In situations where an office clerk can call a household and get the required piece of information, this was done; in other situations, the form was returned to the appropriate surveyor to do follow-up and complete the form. To help manage the Survey’s daily operations, a database tracking system in MS Access was created to track the progress of each field worker, the entire group, and percentage of work done. Daily, an office clerk entered completed forms into the database tracking system and reports were produced to show the progress of the Survey’s field work. Survey supervisors reviewed the progress of the field work, daily, and determined necessary changes, decisions, and actions to take. Three office clerks were trained to review each questionnaire for completeness and either accepted or rejected each of the questionnaire submitted by the field surveyors. The enumerators were paid on a per completed form basis rather than per hour. To be paid, the questionnaire submitted must pass review. CSD settled on this form of payment based on past survey work experiences. At the beginning of the field work, work was deliberately slowed down to make sure that each enumerator was doing his/her job correctly before being encouraged to increase production. After the training, dates and times were set for field workers to come in to CSD for their field work assignment. As mentioned above, on the third day of training, each enumerator was given only one assignment area (AA) and one questionnaire; each went out to the field and completed that one questionnaire from within that AA; and brought the completed form back to CSD for review. Enumerators who passed the first questionnaire review were given a supply of questionnaires and enough housing units to increase their field work production in the coming days. Those who did not do so well were re-trained or assisted in their weak areas. Many of the field enumerators have worked with prior censuses and surveys with valuable past experiences doing field survey work. Once a questionnaire passed the review stage, it was filed appropriately in a filing cabinet ready for coding. Code books from prior survey were updated and used for coding the 2017 LFS forms. Throughout each day, the clerks would review incoming forms, assisted field workers, and coded competed forms. Code books copies are available at CSD. Codes can also be obtained from the code tables in MS Access database that house the Survey data. A database in MS Access was created to store the survey data. A form application was created to enter the data from the completed questionnaire into the database. The database tables and form application contained validation rules that allowed only the acceptable set of values (variable domain) into each of the fields. The validation check helped to minimize the amount of keying errors entering the database. As the forms were entered into the database, frequencies and crosstabs were produced and used to look for possible errors and/or anomalies in the database records. Queries were created in MS Access to show what appeared to be possible errors and isolate, appropriately, these set of records. At the completion of data entry, possible errors were isolated and validated against the appropriate hard copy questionnaires. The resulting clean dataset for the LFS resides in MS Access. It was also exported in SPSS (Statistical Package for the Social Sciences) and into a data model in MS Excel for tabulation and analysis. Saipan’s field data collection went relatively smoothly and was completed within the Fourth Quarter, 2017. However, data collection in Tinian and Rota were not completed by the enumerators hired from these two islands and required sending field workers from Saipan to complete field work in those two islands. Although a problem in that Tinian and Rota hired field workers stopped working, Saipan workers sent to those two islands completed field work in these islands in a timely manner, so that data collection was completed with the month of December, as planned. Getting survey field work done in Tinian and Rota have always been problematic. It is important to keep this in mind and have a back-up plan in case field workers hired in these islands fail to complete their assignments. Several of the field workers started but either did not complete the areas assigned to them or were making slow progress. This required reassignment of field work to the more productive ones. It is important to keep in mind that going door-to-door completing survey questionnaire is not for everyone and to plan for options to make sure survey takers are able to complete the field work. While form reviews, coding, and keying was completed in December they could have been done sooner, before the clerk contracts expired, so that clerks could have worked on data cleaning. Consider changing/refining workflows to make sure clerical support stay on task. Also, it might be time to experiment with electronic devices, such as tablets, for field data collection work. Of the 1,278 households selected for the 2017 LFS, 1,122 of them were completed, a response rate of about 83% for the CNMI. By island, the response rate was 92% for Saipan; 89% for Tinian, and 68% for Rota. The 1,122 households had 3,491 persons for an average of 3.1 per household CNMI-wide. The average number of persons per household was 3.2 (2,598/809) in Saipan; 3.0 (525/177) in Tinian; and 2.7 (368/136) in Rota. The estimated total population for the CNM in 2017 was 52,263, according to the US Census Bureau . This total was used in estimating the sub populations in this Survey. Table A.1.0 shows how the survey weights—used to estimate the sub-populations in the Survey—were derived. As discussed earlier, sampling was stratified by island and by village group. Table A.1.0, column 2 (C2), shows the number of occupied housing units by island and by village group based on the 2014 sample frame; the count of randomly sampled housing units for the Survey in C3; the count of housing units completed in the Survey (C4), the count of persons captured in the Survey (C5), and the average number of persons per housing unit in the Survey (C6). The estimated total population based on the sample frame and survey average are shown in column 7, derived by multiplying C2 and C6; however, the resulting total population of 43,548 is less than the Bureau’s estimate of 52,263. To scale the population estimates in C7 to the Bureau’s total, C7 was multiplied by 1.2 (52,263/43,548). Survey weights by village group were, then, derived by dividing 2017 Population Estimates (C9) by the count of persons in the Survey (C5). These weights were then imputed appropriately to the individual records in the Survey’s dataset and used to produce labor force participation measures shown in the body of this report.